eZWay Studios is a full radio/tv 27/7 broadcast studio housing over 650 24/7 broadcast neish specific channels. Between a calibration of City To City network located in Arizona Ca, with a 80,000 square foot studio and 22 live broadcast channels million viewers per channel each day, and eZWay Broadcasting the social media mogul empire, there is not much competition. This studio is attached to a Bistro/Lounge event center with amazing food and entertainment. The venue can help 400 standing up and 120 tables seated. eZWay Studios is also connected to Film/TV distribution, Viacom, Paramount, Pixar Films, Netflix and much more. The goal of this studio is to be able to provide a facility to influence the influencers to make a difference. 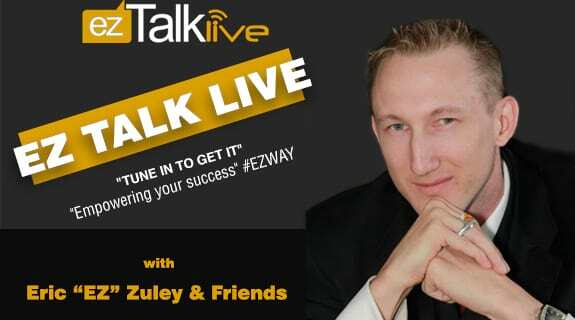 eZWay Studios is owned by Eric Zuley CEO of eZWay Broadcasting, and Larry Witherspoon CEO of City to City network. Our 650 channel syndication gives eZWay.tv a reach of 77 million viewers.